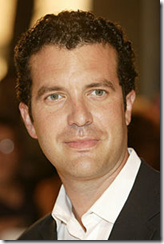 Get Ready for a laugh, Rick Mercer is the ideal Canadian comedian! Smart, funny, and extremely witty. Talking to Americans aired on 22 Minutes on CBC. 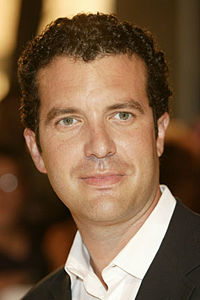 In 2000, Rick Mercer became an international name when he included the then presidential candidate, George W. Bush in one of his segments. In Talking to Americans, Rick Mercer travels to major cities in America, and conducts basic interviews on the street. Although this video is funny, I look on it with two sides. On the one side, yes we laugh at how silly and uneducated they seem, but it should also serve us in Canada as a reminder of how arrogant we can be about other countries. While we laugh that some American's might think that we only have 1,000,000 people in Canada, how many people does the United States have? Do you come close? Don't Google it! Canada is such a multi-cultural country with so many people from so many different places, and we all get along so well! Let's remember to not just get along, but also to learn about the cultures in other countries. Lets not laugh at the American's, and then not know what the capital city of Australia is! Sydney? Sorry that would be wrong. Congratulations Canada on Legalizing Staplers! Congratulations Canada on preserving your national Igloo! Congratulations Canada on allowing Dogs as house pets! Congratulations Canada on a second area code! Congratulations Canada on moving to the 24 hour Clock! I really enjoyed watching Talking to Americans, it is one of the most brilliantly put together segments CBC has ever aired. Hopefully you don't miss the hidden message, which is how nice and genuine they were on camera. Free TV Web sites have always fascinated me. How they manage to stay up and running is beyond me. I do believe this is the wave of the future however, as I absolutely hate watching TV in the living room simply because it means I have to endure hours of commercials. I much prefer to watch great online content, that is commercial free! Below are some great web sites that are going forgotten since the whole "YouTube" frenzy caught on! Although I do agree YouTube is by far the best of the sites, the sites below should not go un-noticed as some content here you will not find on YouTube! Zango is actually a very interesting site in that it attempts to resolve copyright issues. It allows people to post advertisements along with their published content. Zango calls this "content economy". Zango also employs time-of-day technology to ensure that it is displaying the right type of advertisements, at the right time of day. See, I don't mind advertisements personally if they make sense to what I'm looking for at the time. Some of the best episodes of Frontline are available for free online right now! A great video I just finished watching is "Kim's Nuclear Gamble" created back in 2003. So for all of the sites I have covered, it involves the web sites being up and running, and using their sometimes flaky web pages. Multiple clicks and page loads do tend to annoy me. Instead, download and watch all the best Internet TV shows in one powerful application: any video RSS feed, video podcast, video blog, or BitTorrent file. Fullscreen, high resolution, 100% free and open source. New channels arrive daily in the built-in Channel Guide. Provides categorized free tv watching through categories like movies, news, music, entertainment, business, sports, etc. being a little bit of an organizational nut myself, I love having everything easy to find and access, which is not the case with some other free tv web sites. This site differs from other free tv sites by offering cartoons and Anime. It also has categories such as Asian Television, Independent TV, Comedy, and the World Cup of Soccer. They currently boast over 10,000 videos online. They do however simply organize the content for you, as most of their videos are hosted on YouTube. No list would be complete without mentioning the company that started not even a year ago in December 2005, and just recently sold to Google for for an estimated 1.65 billion dollars. This site has absolutely everything you would ever want online. Some of my favorite searches are: Russell Peters, The Evolution of Dance, and Super Mario Brothers. This site would literally keep you busy for the rest of your life! Next time you miss a piece of a tv show, or miss an interview, check it out on YouTube, it will be there! Channelchooser is a free tv portal that is very nicely designed from a user interface perspective. It loads extremely quick, and has a very clean easy to use navigation system. Another plus is the channels: HBO, MTV, Comedy Central, ESPN, etc. Of course one of the best ways you can watch TV on the Internet, like HBO, ESPN, and CNN is to download software that allows you to do this. You can get Satellite TV for PC, Elite Edition here. It’s by far the best software I have found, and will save you a lot of headaches. Having issues with choppy video playback? 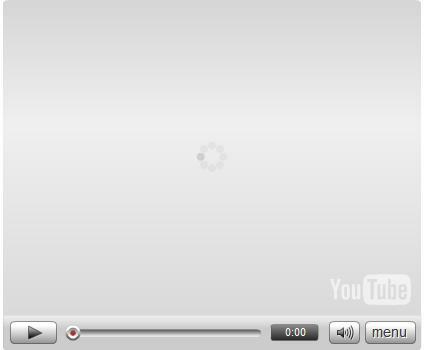 Instead of going into details here on how to resolve these issues, please read Speeding up video playback. So I went to see The Da Vinci Code. I had read the book before going to see the movie and I must admit, I was a little disappointed, but it was better than I was anticipating. It is a neat spin on what could have happened back in the day that Jesus walked the earth. The basic plot of the book and movie is that the secret to who Jesus was, and what happened in the past, is hidden in paintings that Leonardo Da Vinci painted. The Da Vinci code tries to explain that Mary Magdalene was married to Jesus, and that she was pregnant. Then it goes on to explain that the witch hunts were all an attempt to kill Mary Magdalene and the unborn child of Jesus Christ. Interesting theories, and an interesting book and movie. If you are interested in a Bible thriller, and even if you do not believe a word of what I just explained, it is a worth while read/movie to watch. It's interesting to look at things from different perspectives! Go see The Da Vinci Code, and read the book!